After graduating in Illustration and Graphic Design, Bristol-based artist Dan Parry-Jones turned to painting and printmaking in 2008. 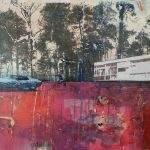 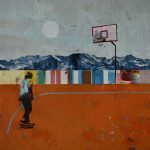 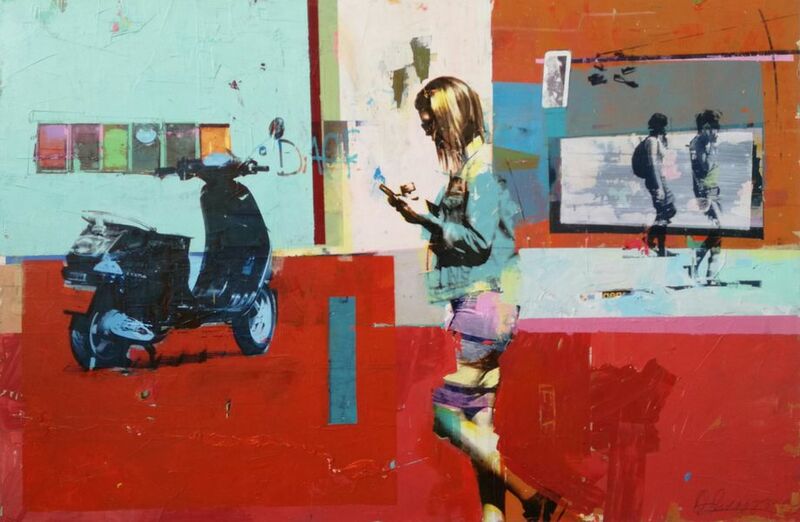 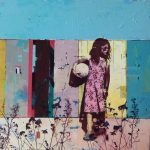 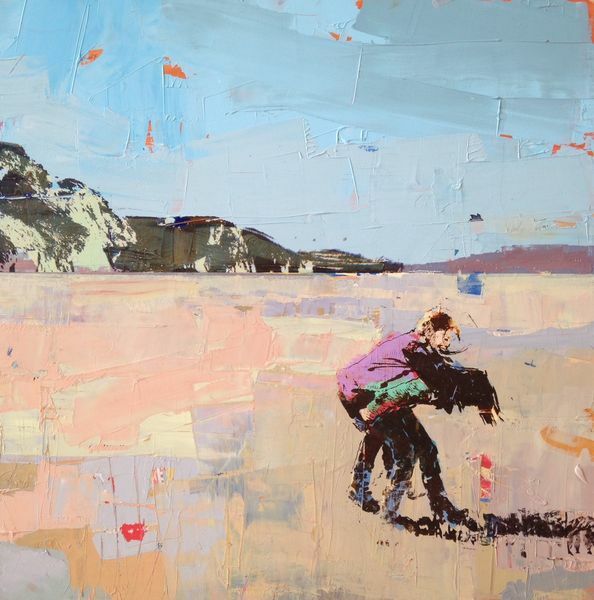 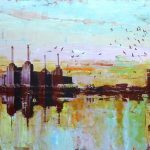 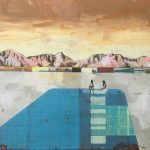 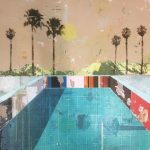 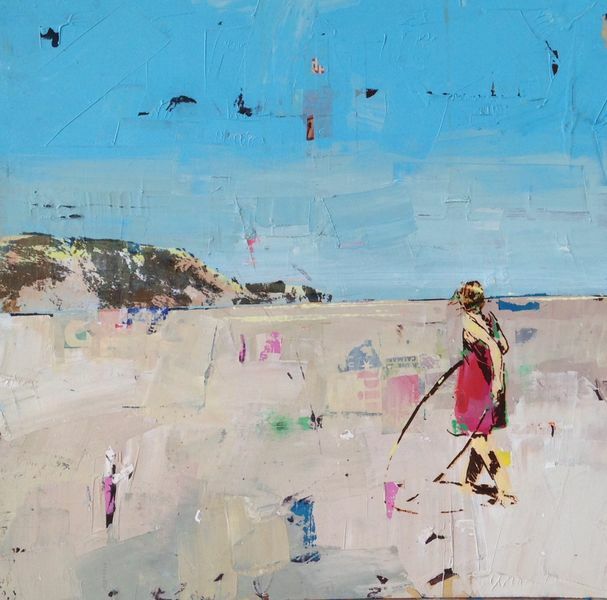 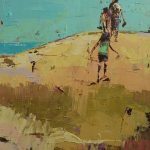 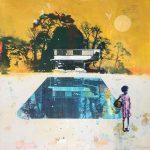 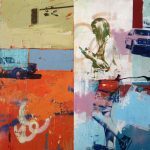 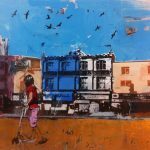 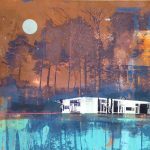 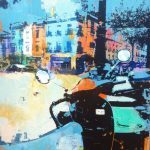 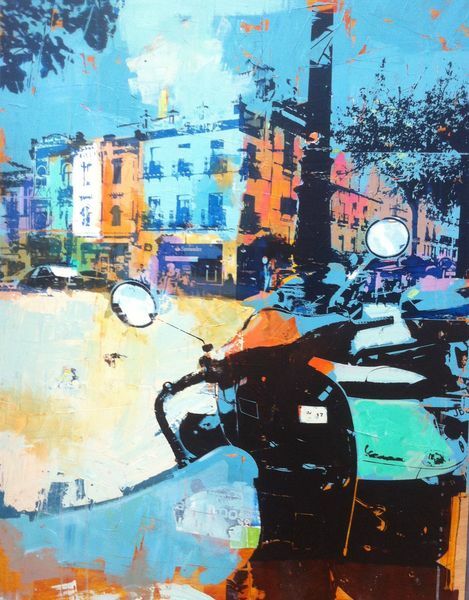 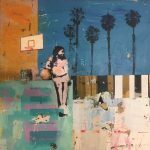 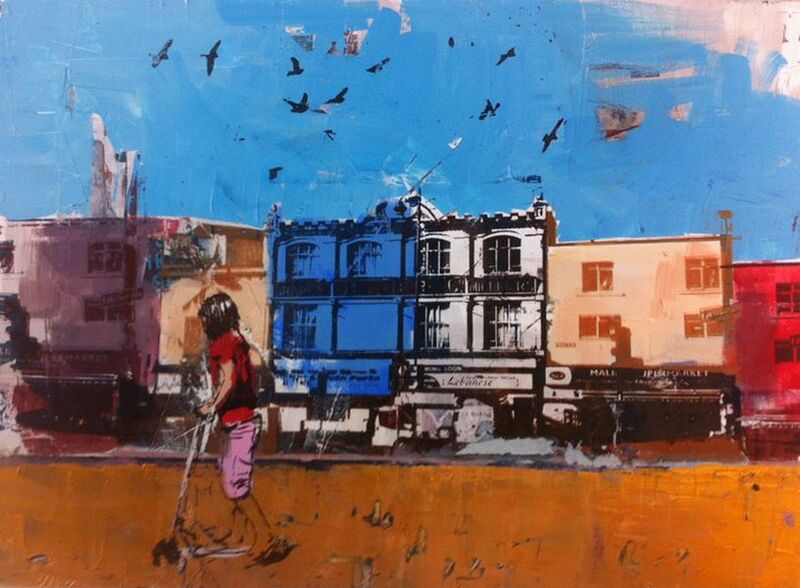 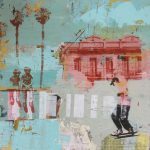 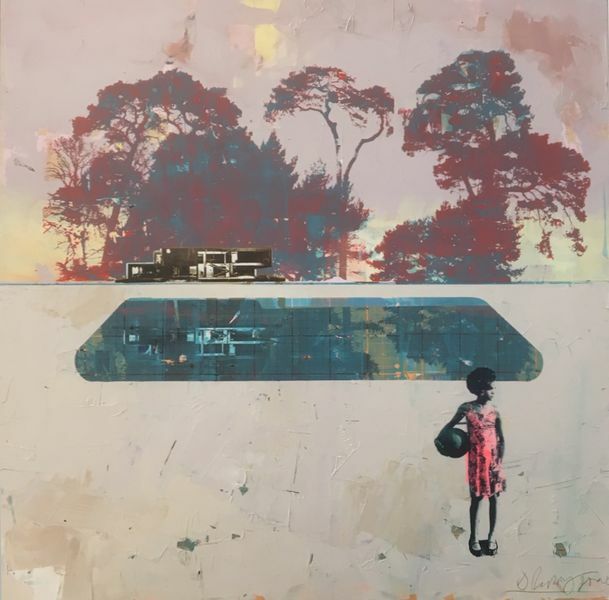 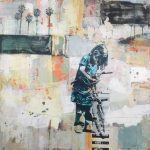 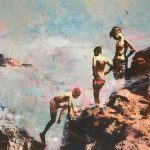 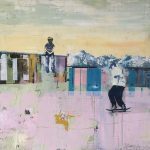 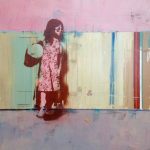 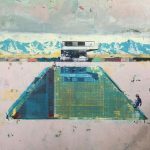 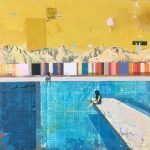 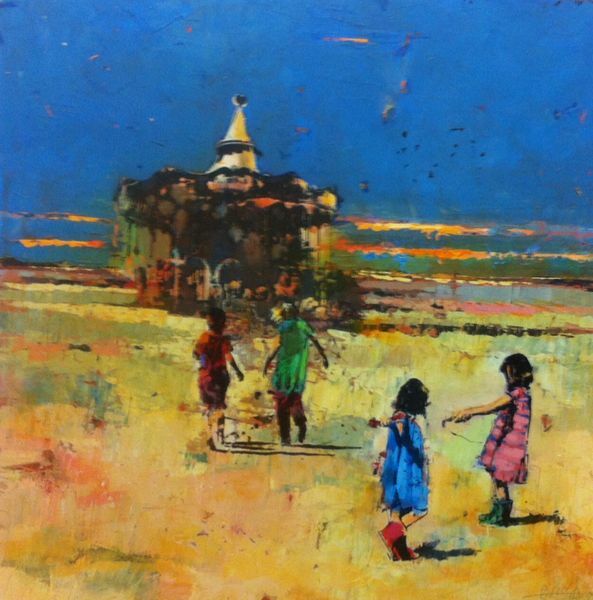 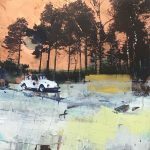 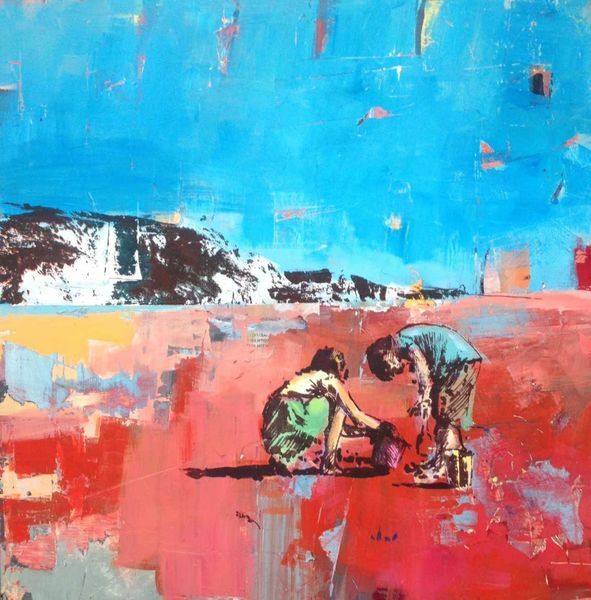 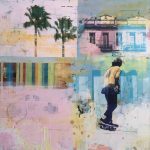 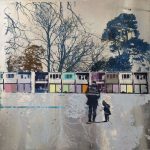 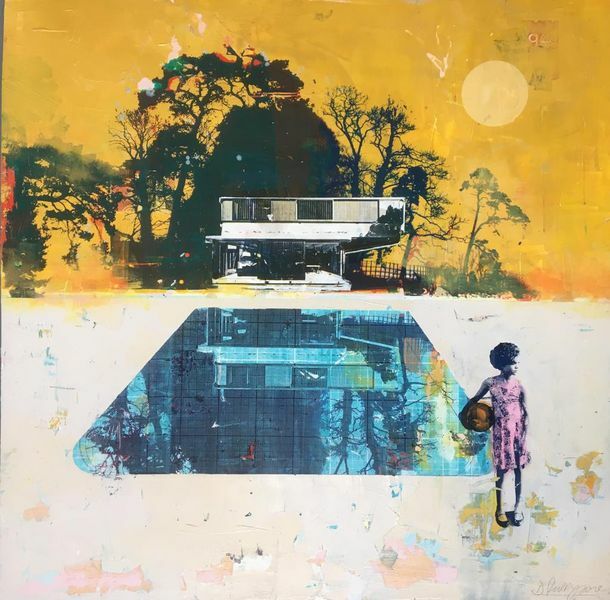 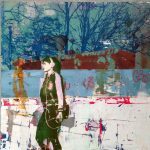 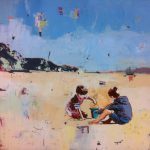 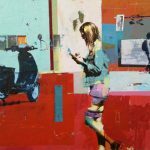 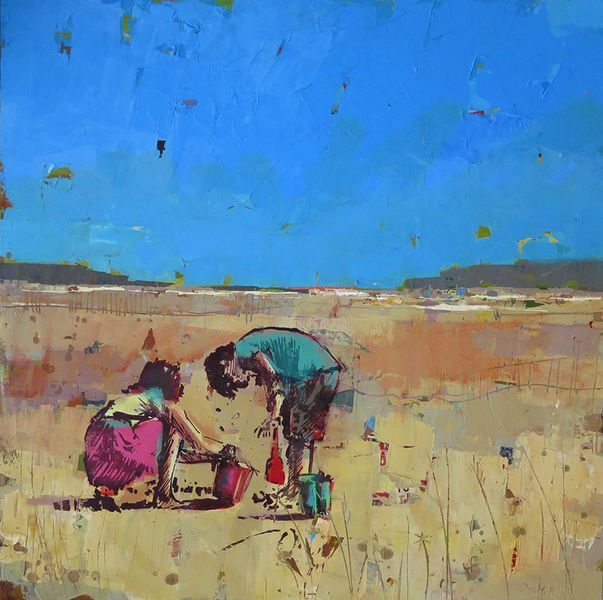 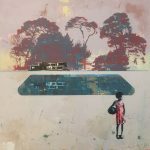 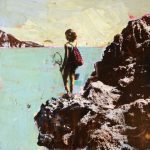 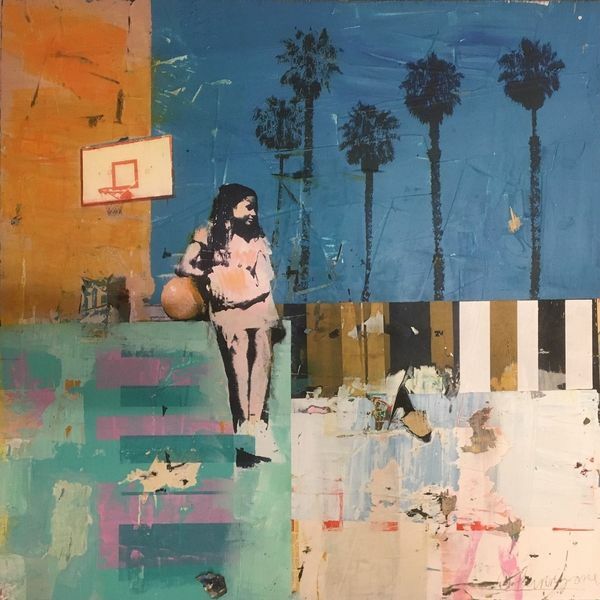 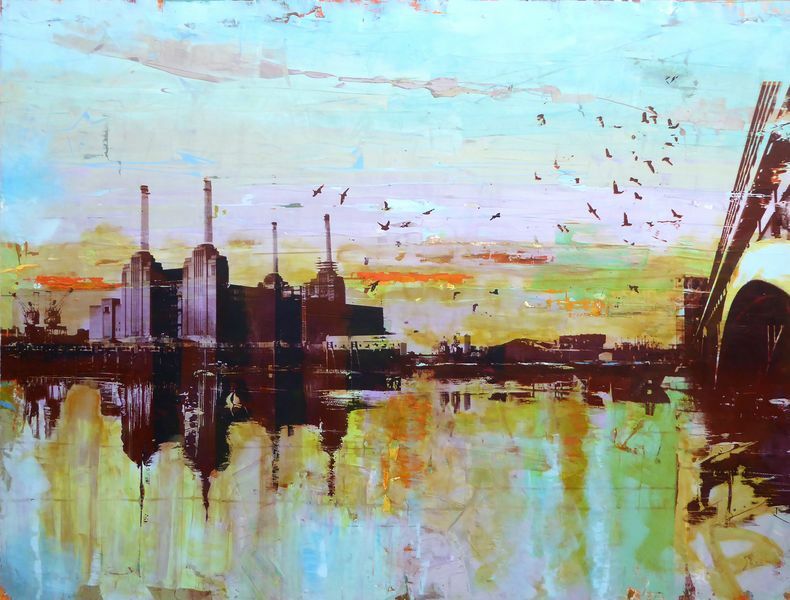 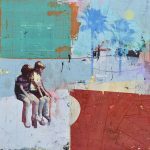 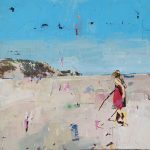 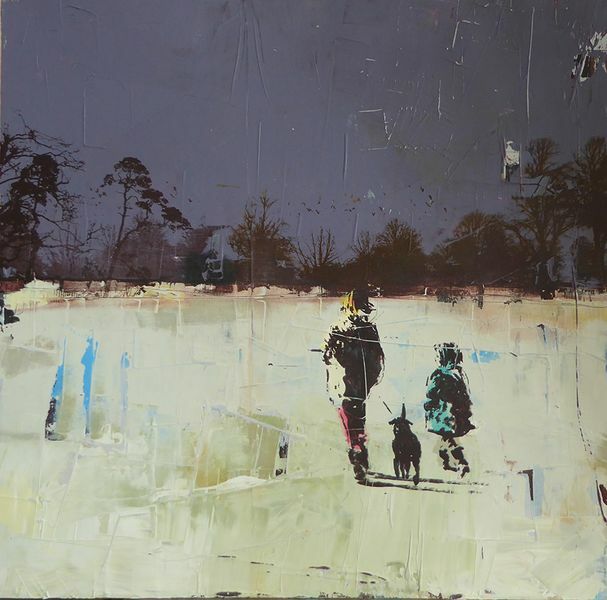 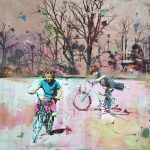 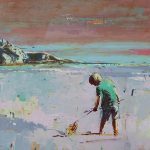 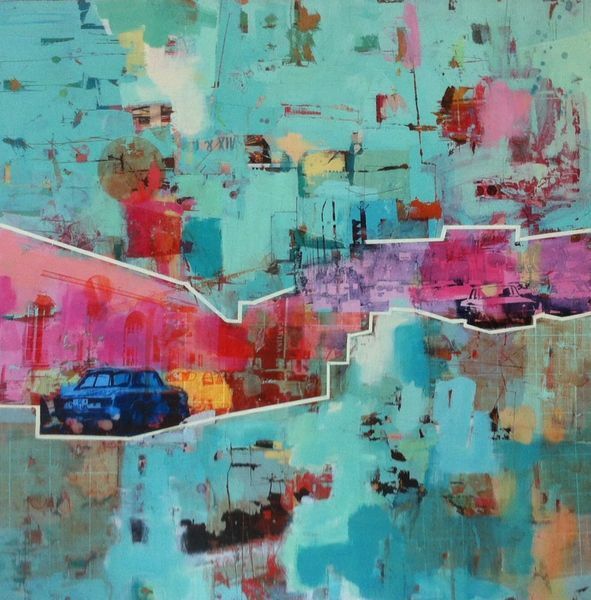 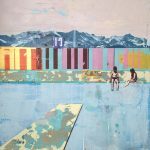 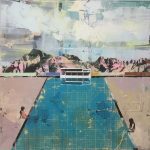 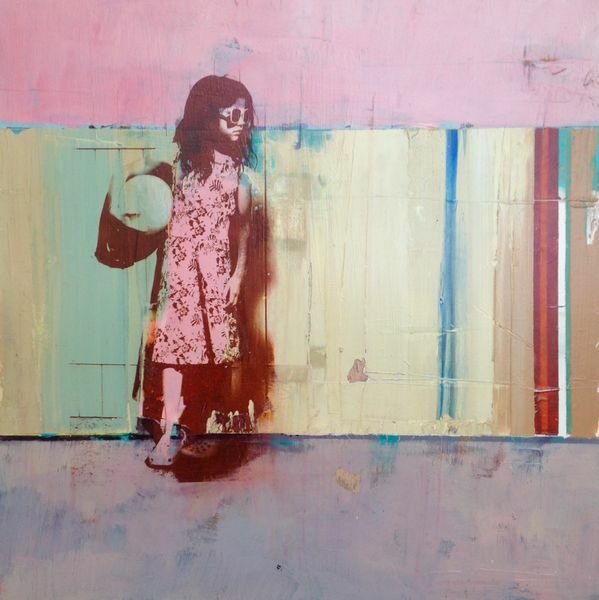 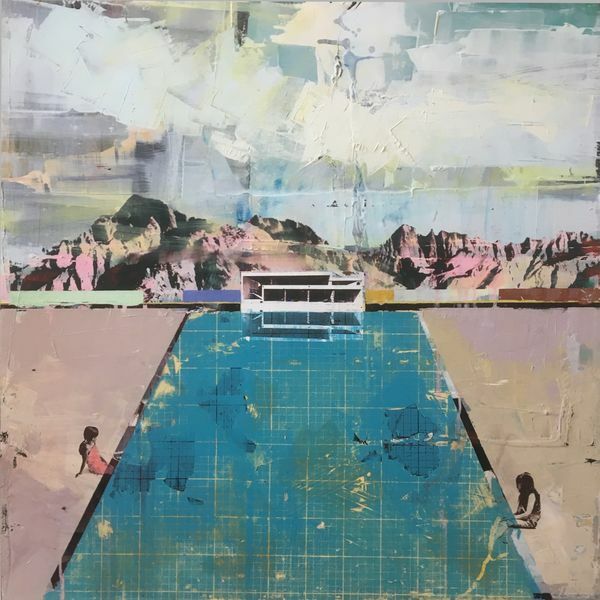 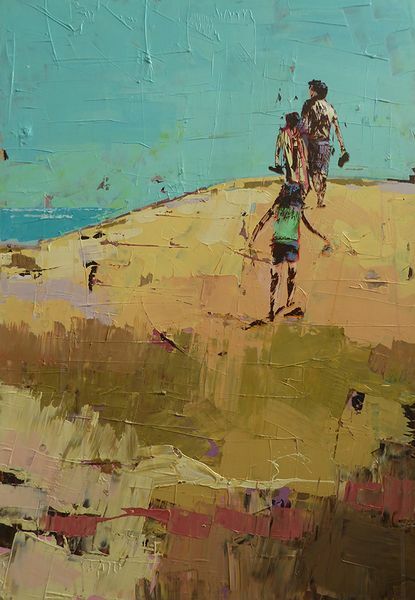 Using acrylics, oils and screen-printing, he creates expressive landscapes that reflect his surroundings, from the gritty, urban environment to the beautiful, expansive coastline, in both the UK and abroad. 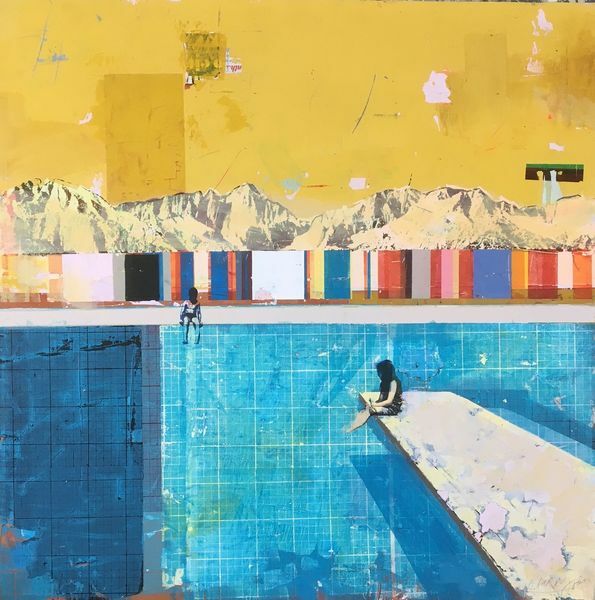 Dan's current body of work has evolved after spending time in southern Spain and the French Alps and are inspired by his love of the United States. 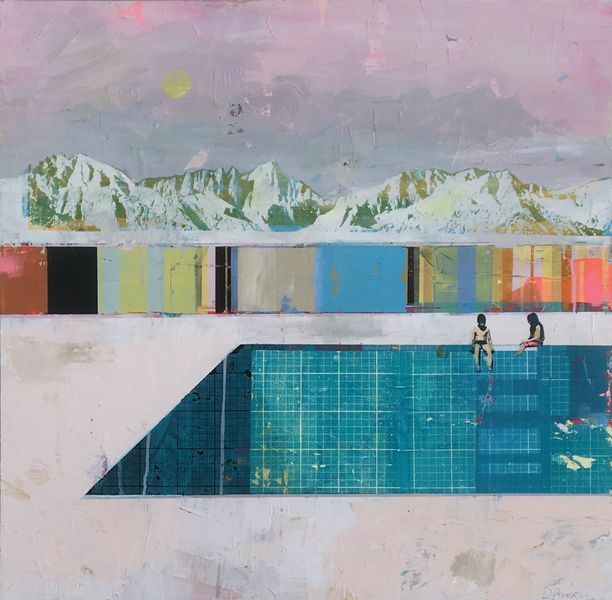 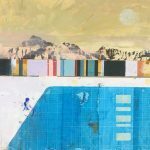 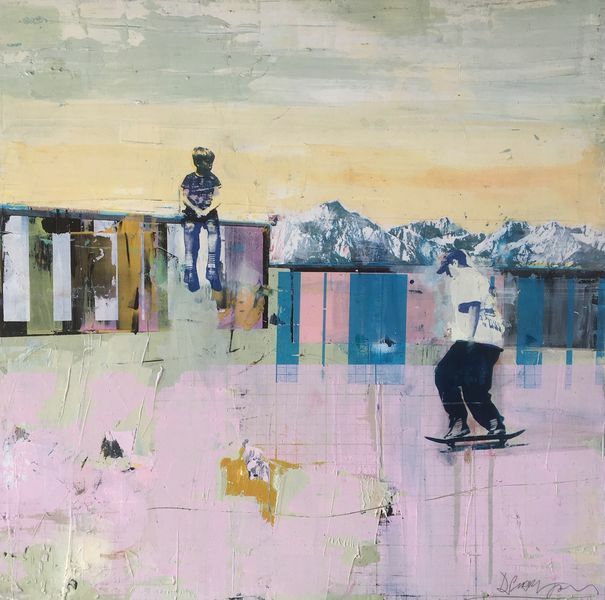 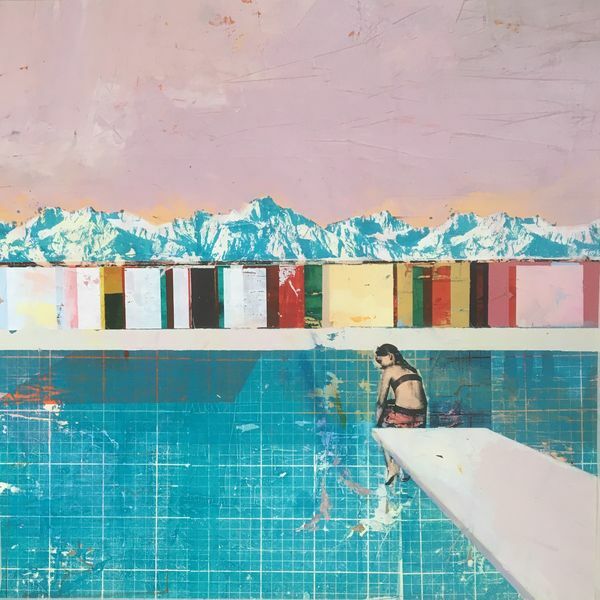 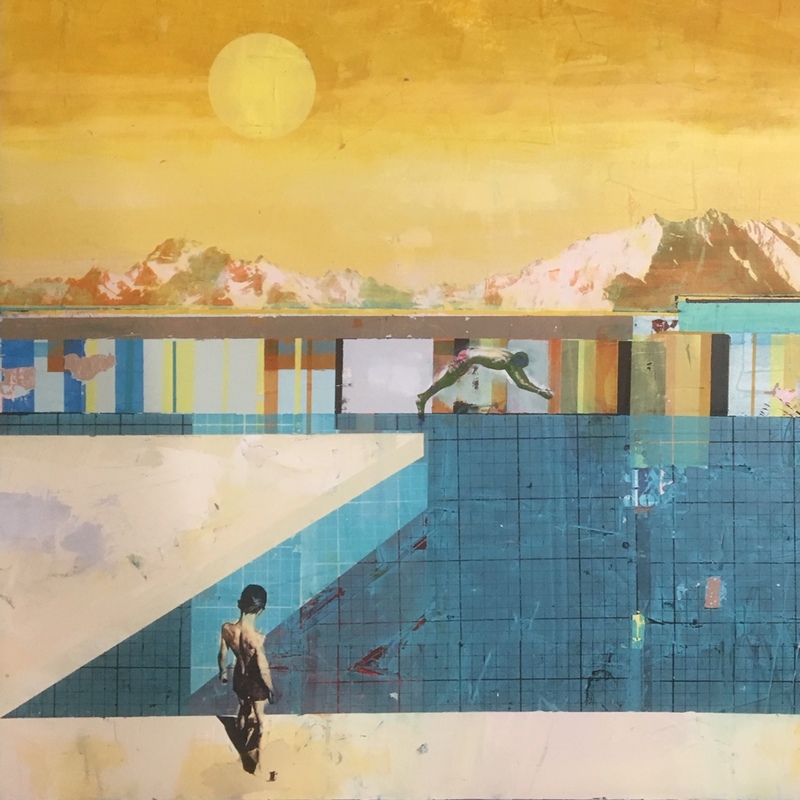 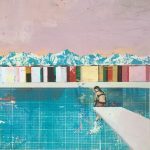 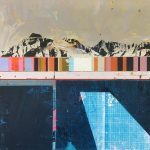 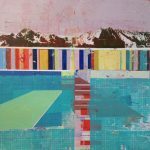 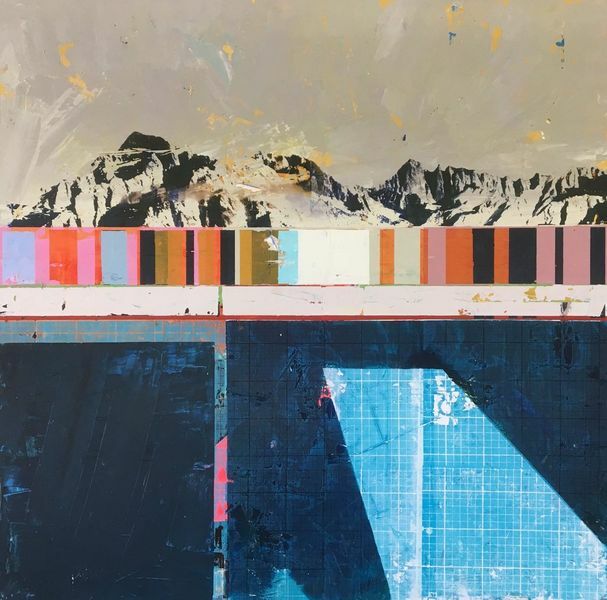 Fascinated by the relationship between nature and the man-made, these new paintings juxtapose organic and artificial elements as panoramic mountain ranges provide a backdrop for flat, still swimming pools and brightly painted walls. 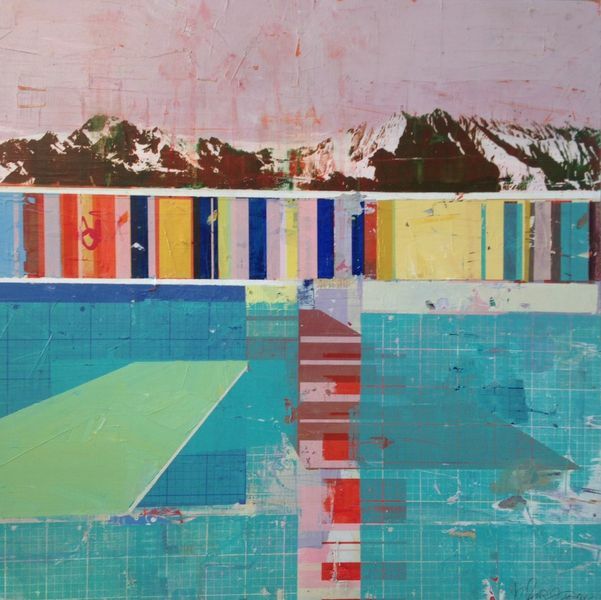 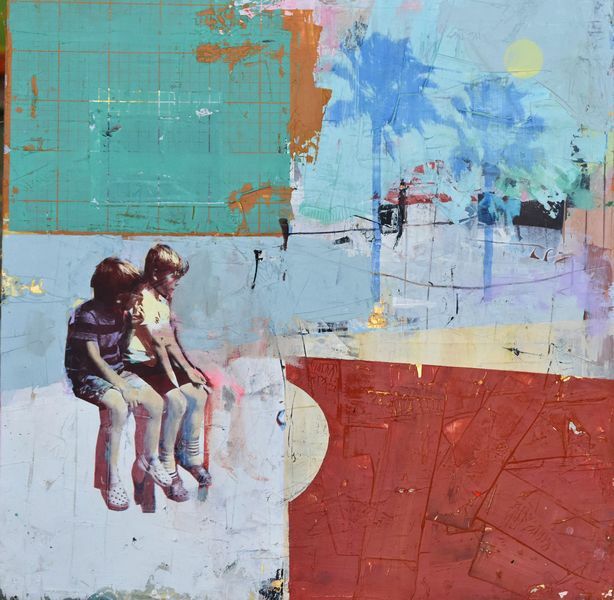 Dan’s work continues to bear his stylistic hallmarks that draw influence from Richard Diebenkorn and Robert Rauschenberg: shapes of flat colour set against highly textured areas where paint and glued paper (fragments of typography or colour that complement and contrast with the painted areas) have been scraped back to reveal layers beneath. 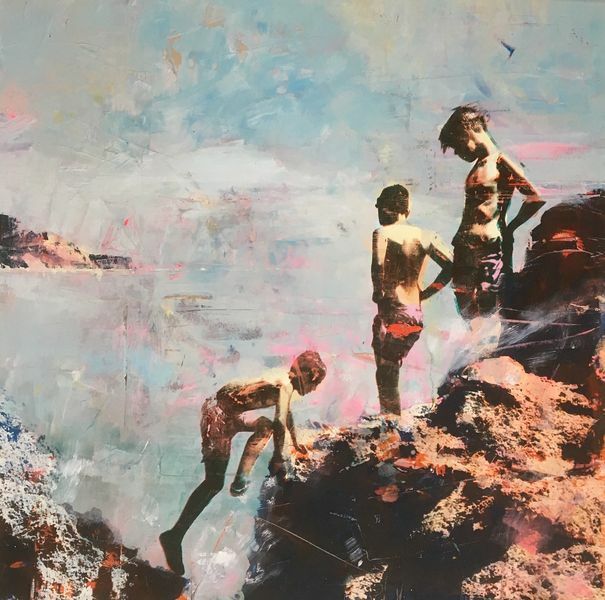 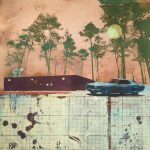 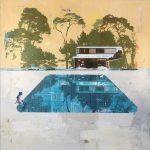 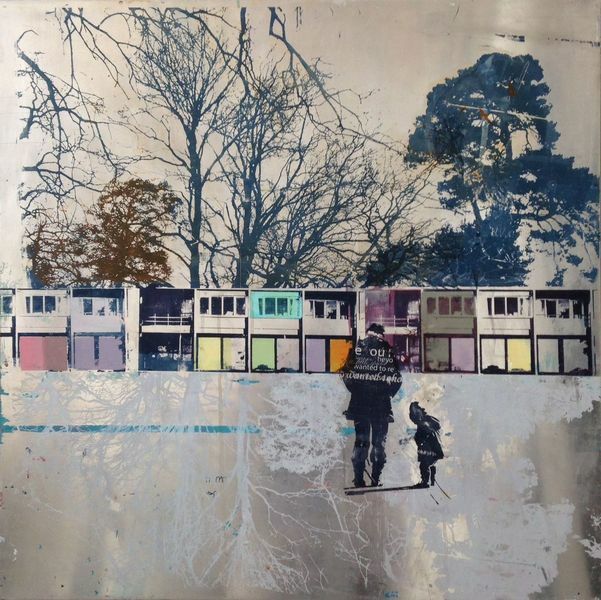 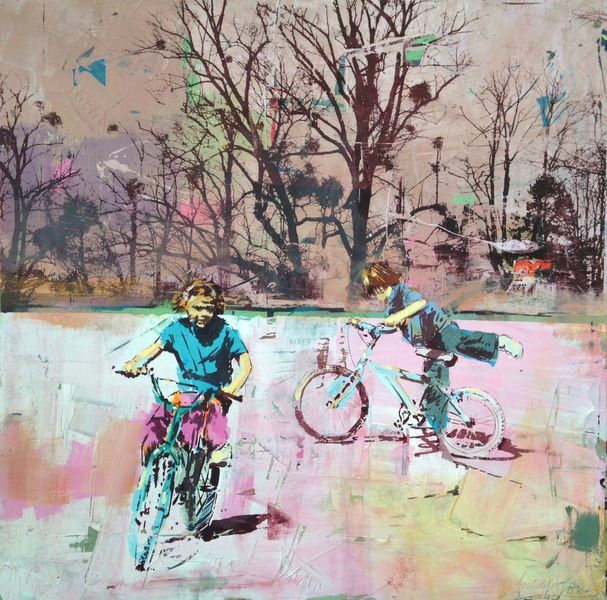 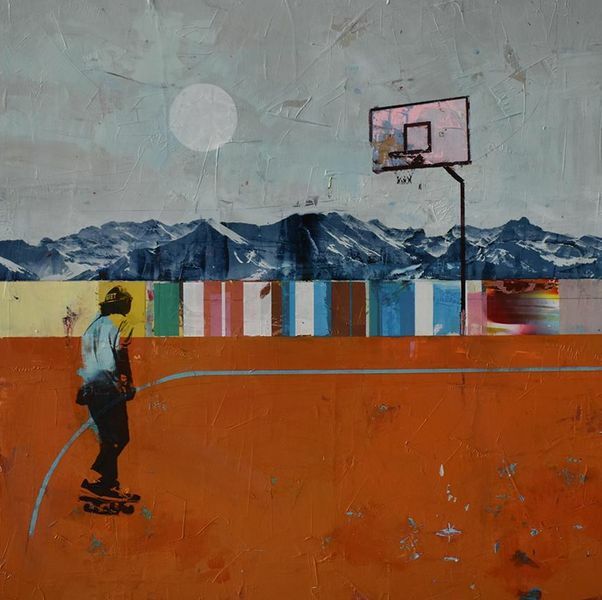 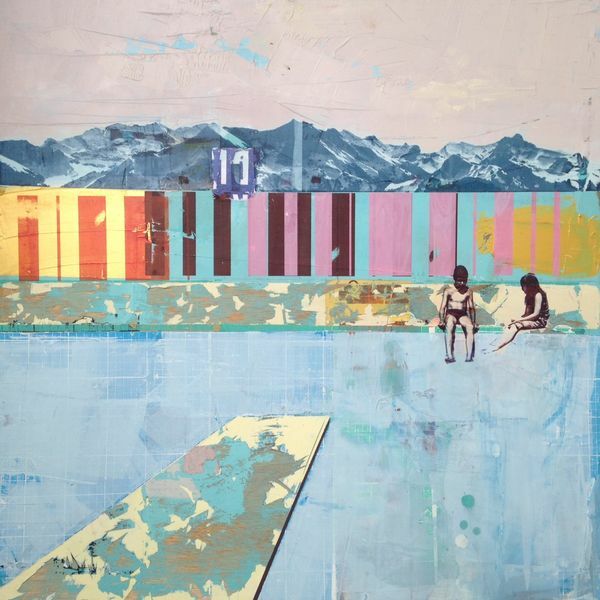 Dan works from his own photographs to make the screen-printed elements such as figures, cars, architecture and mountains. 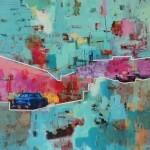 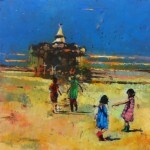 Once he has taken a photo he is particularly happy with, he often experiments with it in a series of paintings, giving each its own unique background, palette and mood. 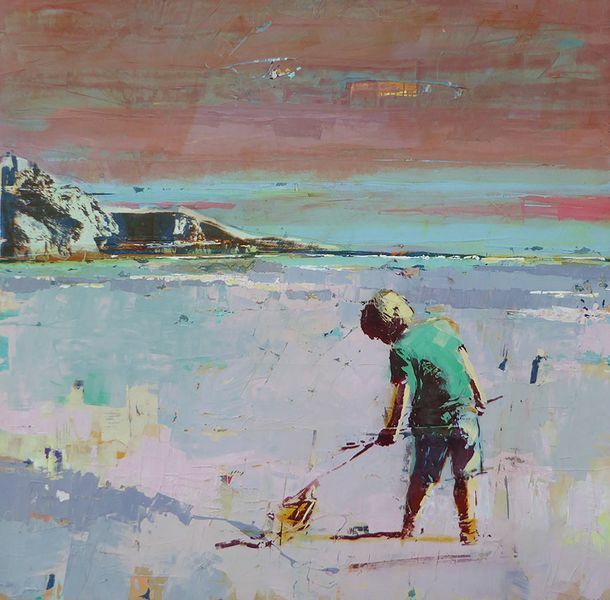 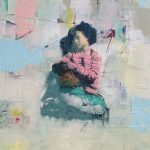 Each painting is composed of several layers as the artist scratches, sands, strips back, re-works and re-applies the different media, before finally varnishing the piece to seal it. 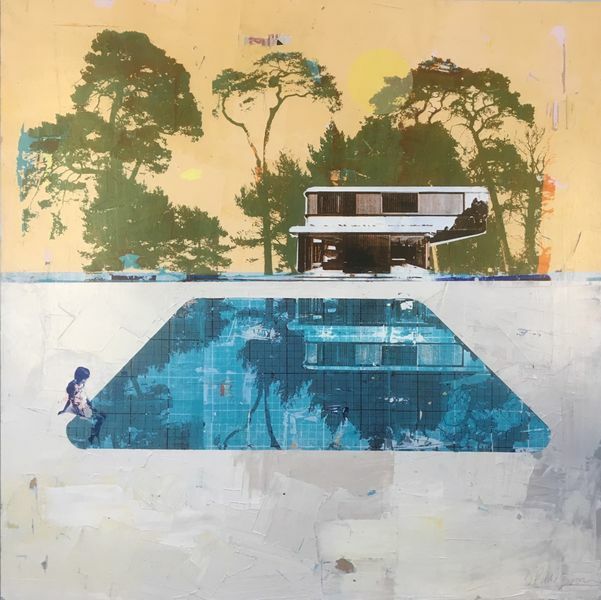 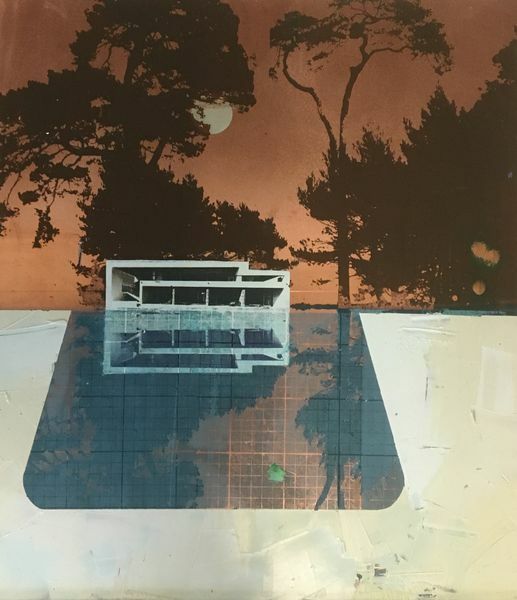 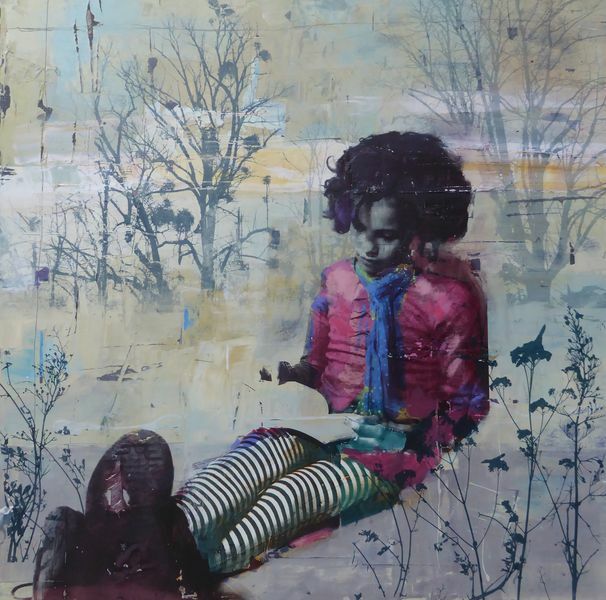 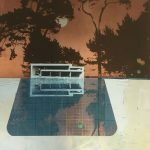 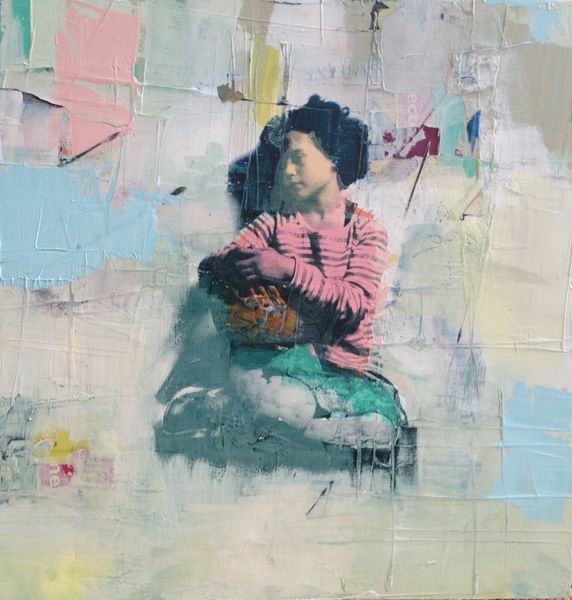 Dan’s work is widely exhibited at major art fairs and gallery shows in Europe, Asia and the USA, including solo exhibitions at Adam Gallery in Bath (2017 and 2015), and group shows at the Sarah Wiseman Gallery in Oxford.